A continuous field recording and cello. I chose deep, extreme canyons to make audio field recordings and maximize the resonant qualities of the earth’s topography. The nearby airport’s flight schedule became the form and structure of the composition, beginning nearly 6:00 AM and increasing in volume with the morning planes taking off and flying about the canyon. 200 native and migrating species of birds live in the San Digeo canyons and, in the early morning, are at a high volume. This volume is intensely resonant if you are at the bottom of the canyon. Inspired by James Turrel’s land and architectural schemas, the land proved an excellent recording studio. I recorded these field sounds with the invaluable help of Marcos Fernandes and then recorded Joan playing examples of extended techniques that resembled certain frequencies and timbres in the recording that I wanted to emphasize. In the studio, I mixed the acoustic cello material with the intact field recording to create the finished work. This piece was premiered at the Headlands Center for the Arts in Sausalito, California March 26, 2004. 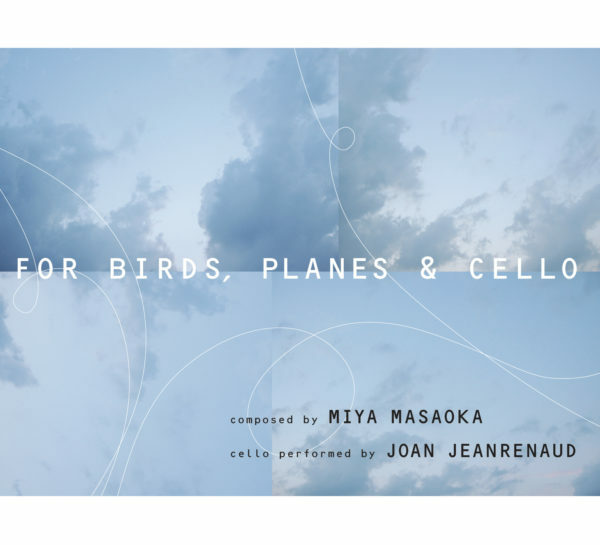 As part of a three-part residency at Issue Project Room in the Silo – with Maryanne Amacher, Joan LaBarbara and myself -Birds, Planes and Cello was realized with multiple speakers (mixed by Stephan Moore), and presented in 2012.